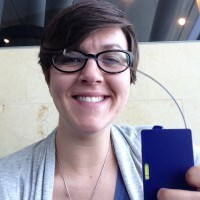 Tracey Berg-Fulton is a Collections Database Associate at Carnegie Museum of Art in Pittsburgh, Pennsylvania, working on the Art Tracks provenance project. Prior to coming to CMoA, she was a contract registrar working in western Pennsylvania, and then registrar at the August Wilson Center for African American Culture. Her speaking and writing focuses on the intersection of collections and technology, and the registrar’s role in museum technology, while her research concentrates on tenements and their material culture. Tracey earned her BA from Otterbein University, and her master's degree from the University of Glasgow. In her spare time, she blogs about her grandfather's record player and collection at http://www.listeningtomyelders.wordpress.com, works on the Pittsburgh Punk Archive, and runs marathons. She and her husband, Patrick, share their home with a Giant Schnabrador named Walter.